Yeah..but which one makes you fart! Kashi! Ask my husband! 10 points for farting! Let’s hear it for secret pleasures. 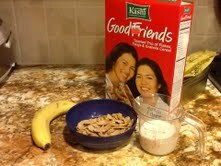 I love Kashi cereals!